Time to share our cultures with the world. 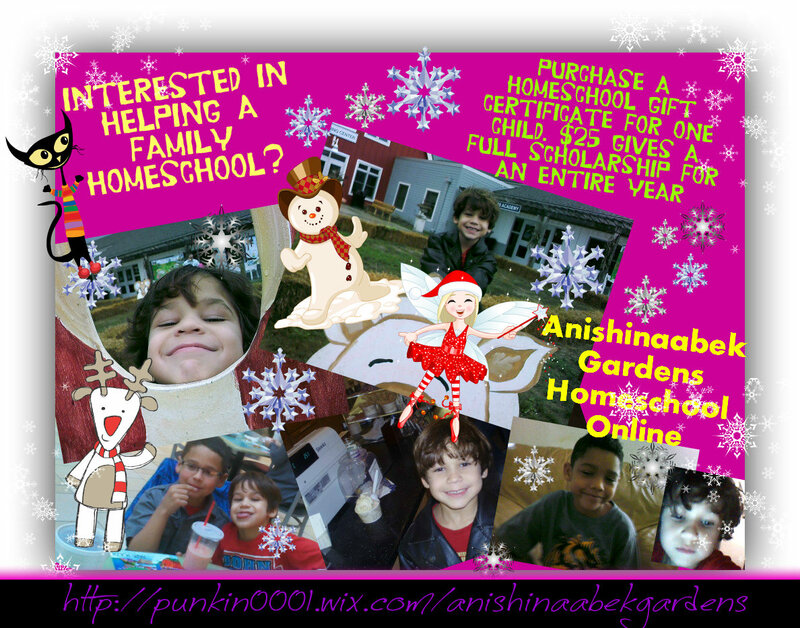 Just $25 will pay for one child for an entire year of online access to Anishinaabek Gardens Homeschool. Chicano Books and Poetry. Treat your loved one to some of the best poetry and books. FREE SHIPPING this weekend! Contact them today. Music, Clothes, Fashion Wear, Homeschool Scholarship Gift Certificates, Jewelry and many more I will list in the next few days. Be ready for some awesome websites to do your holiday shopping, with excellent prices too! 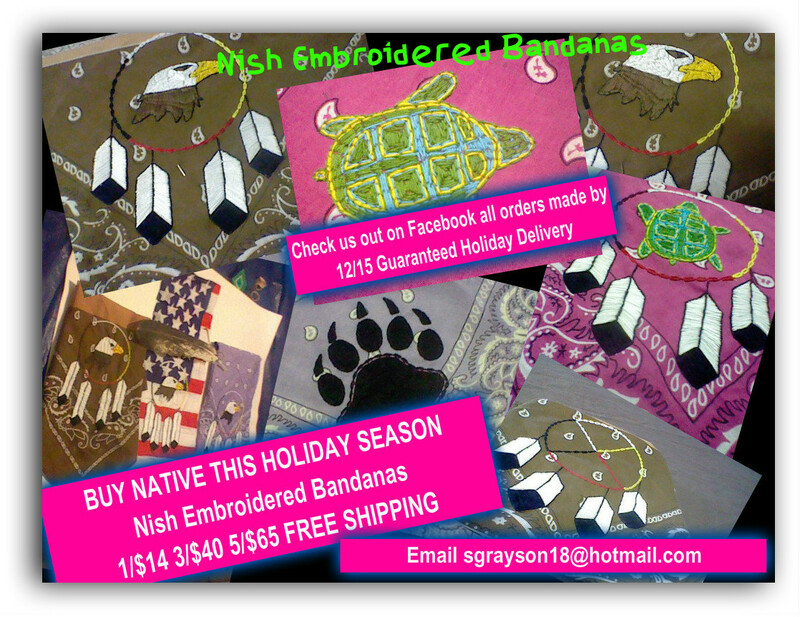 Our homeschool is once again embroidering if you are interested in ordering special and very unique bandanas contact sgrayson18@hotmail.com or anishinaabekgardens@aim.com All HOLIDAY ORDERS made before December 12th-15th are guaranteed for holiday delivery and shipping is FREE.